(SPOT.ph) Seafood fans, here's some great news to start off your week: American chain Red Lobster is opening their first branch in Manila on November 16, Friday, at S Maison at Conrad Manila in Pasay. The seafood chain started as a family-owned store in Florida, and has since expanded to several locations worldwide with 28 branches in Asia. According to Red Lobster's Director of Asia Operations Catherine Souders in a previous interview with SPOT.ph, the Manila branch will be shipping lobsters from Maine, Snow Crab legs from Alaska, and more seafood from the U.S. But Souders adds that there are plans to add seasonal dishes using local seafood to the menu. 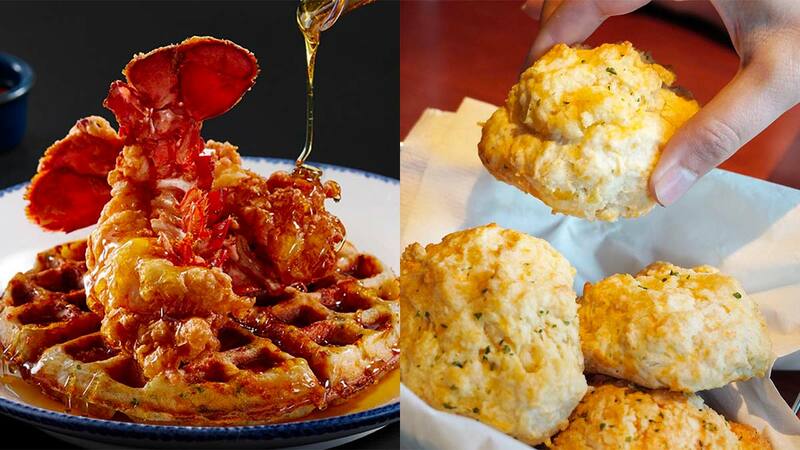 What we do know is we can't wait to feast on all the lobster and crab dishes like Crispy Lobster and Waffles and Crab Melt?plus the unlimited Cheddar Bay Biscuits, too! Red Lobster is opening on November 16 at S Maison at the Conrad, SM Mall of Asia Complex, Pasay City.